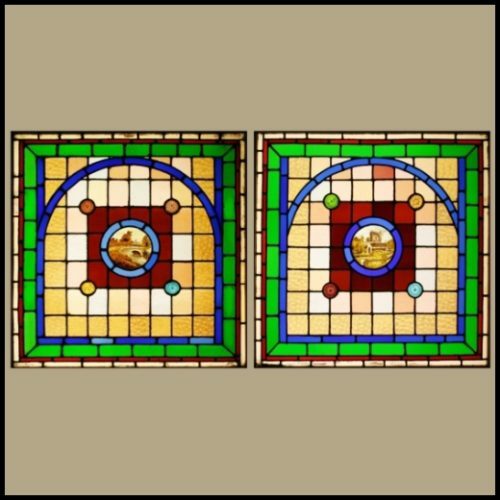 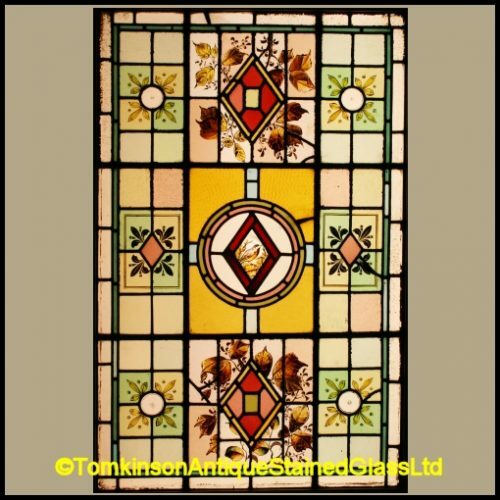 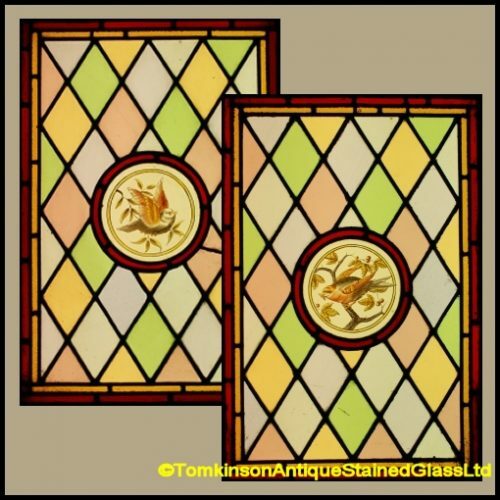 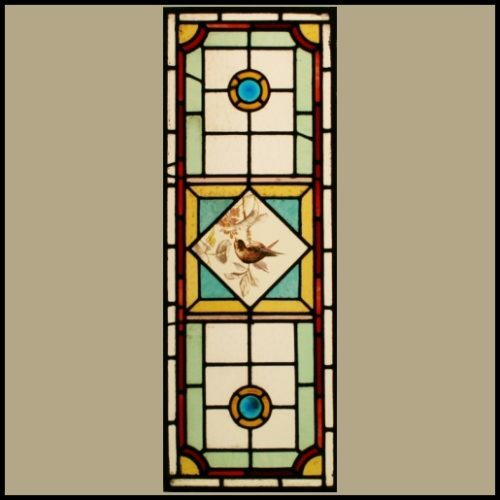 Antique Edwardian stained glass panel hand painted with a central shield depicting 2 Dolphins and Birds. 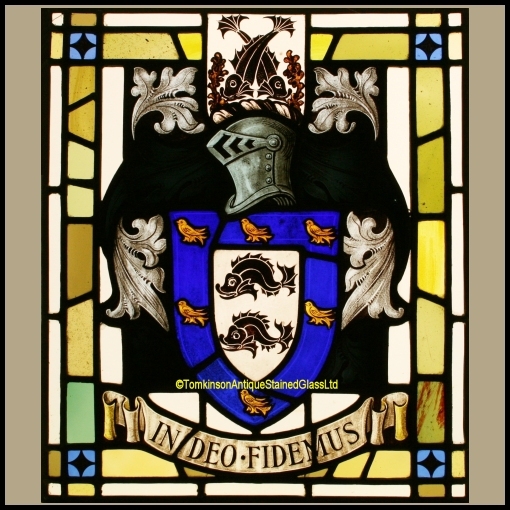 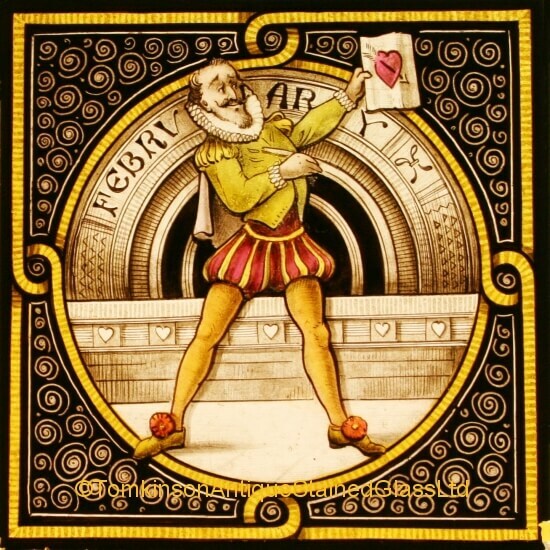 Below is a banner with a Latin inscription ‘IN DEO FIDEMUS’ – We trust in God, around is coloured glass. 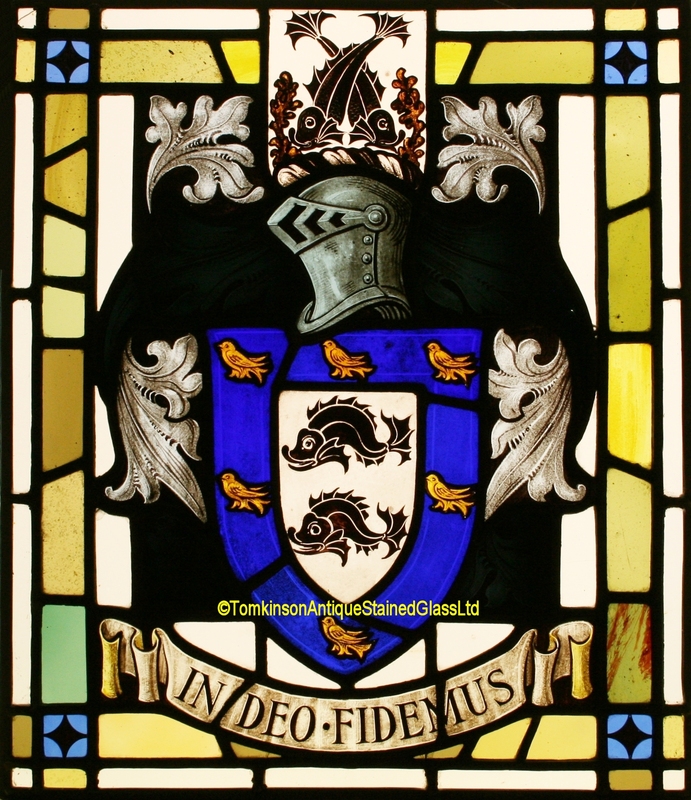 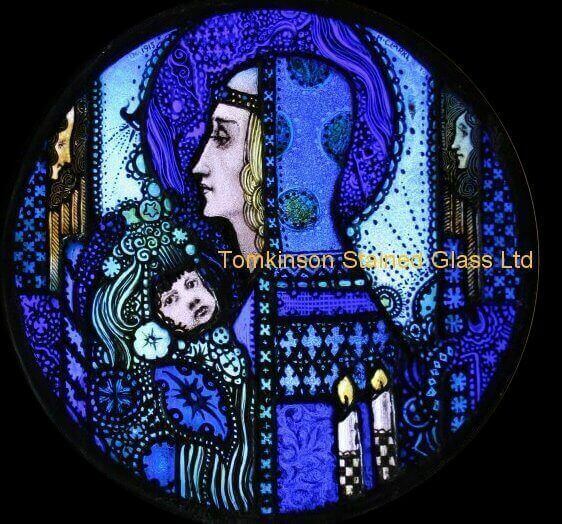 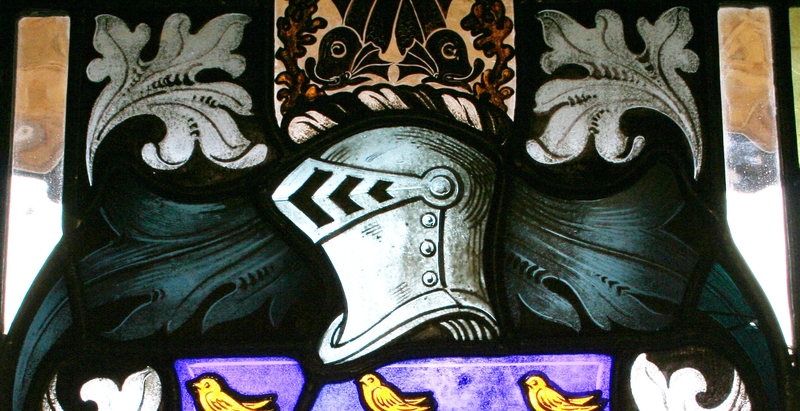 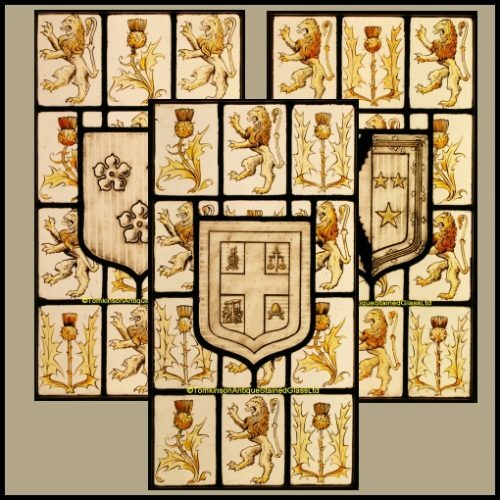 (The dark area above the shield is very dark blue coloured glass hand painted depicting acanthus leaves.) 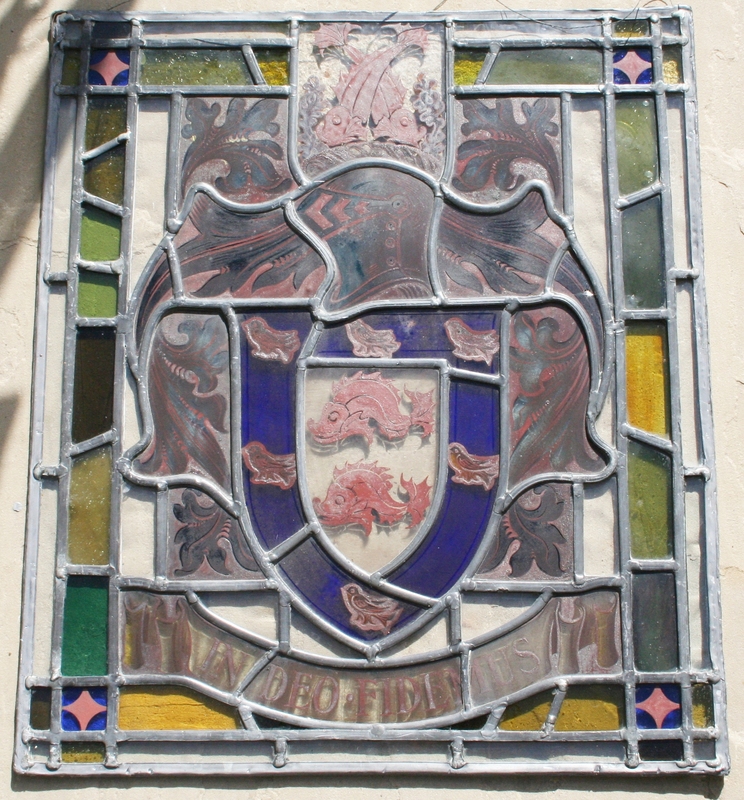 Panel is in original condition, with hanging wire attached.